It can be easy to get carried away with the smaller details of any remodel, but it’s important to think of the big picture too. 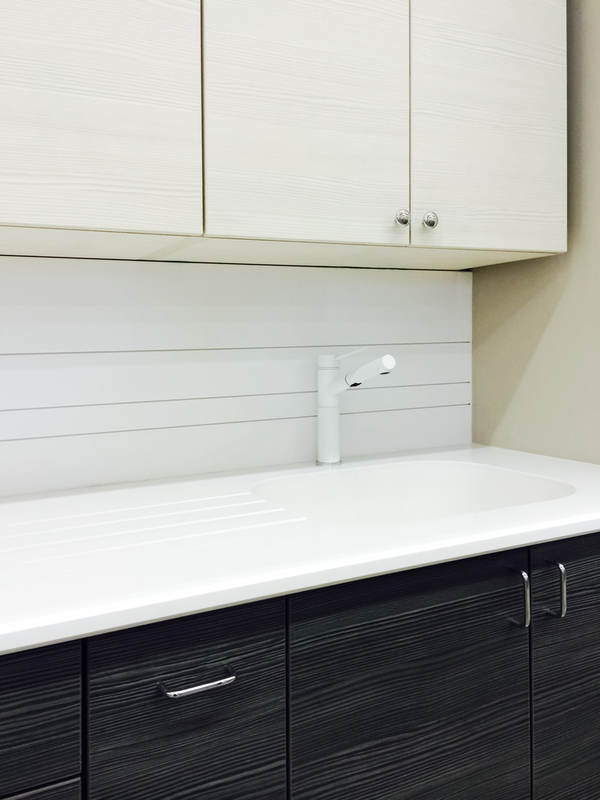 After all, choosing your favorite countertop or kitchen cabinets may give your space a great aesthetic, but even the most visually pleasing designs can’t make up for poor organization. Beautifully designed kitchen cabinets are fantastic, but they don’t mean much if the layout is haphazard. Before diving into stylistic choices, map out your layout based on which tasks you do most in the kitchen. Food prep is a crucial element of whipping up any culinary masterpiece. Without ample countertop space, however, food prep can be a nightmare. A food prep area should have plenty of countertop space, drawers for cooking tools, and a sink within arm’s reach for any on-the-fly cleanup. A truly well-organized and designed kitchen should be a self-contained space, capable of holding everything a budding chef will need during any meal time. This means more than having enough storage space in your kitchen cabinets for pots and pans. Smaller drawers for towels and pot holders, as well as taller cabinet space for cleaning items, like mops and brooms, are only two elements to think about when drafting up the blueprints. Tucking away your dinner and drinkware far from the dining room doesn’t make sense for easy access. Instead, try to place your storage area for these items as close to the dining room as possible. If space and plumbing permits, having a small bar sink is an excellent addition for clean and efficient mixology. Installing lower kitchen cabinets in your baking space will make storing pans and baking sheets a breeze. You’ll want to have ample drawer space for measuring cups, spoons, spatulas, and other baking tools as well. After taking those points into consideration, you’ll be closer to the kitchen of your dreams. Everything you need to whip up delicious dishes will be conveniently organized and within reach right when you need it most, meaning you can focus on a kitchen’s use, which is the cooking. Residents of Dothan, AL, seeking reliable and friendly service can trust Surplus Warehouse. This company has provided quality building supplies to customers for more than a century in a wide variety of home improvement matters, including kitchen cabinets, tools, and flooring supplies. For more information, call (334) 673-5625 or visit the website.